When she suggested the glass exhibit, I paused for a short moment. She didn’t seem to notice. We hadn’t been in the same room for more than 5 years but it felt like 5 minutes. We talked and laughed and consoled and encouraged. We made our way through the exhibit and I found myself drawn to the colors, so bright against the dark displays. But the indoor displays paled in comparison to the garden exhibit. The large, orange flowers pulled me forward, enchanted by their size and simplicity. I stood beneath and caught sight of the Space Needle towering above and it was perfect. exquisite! 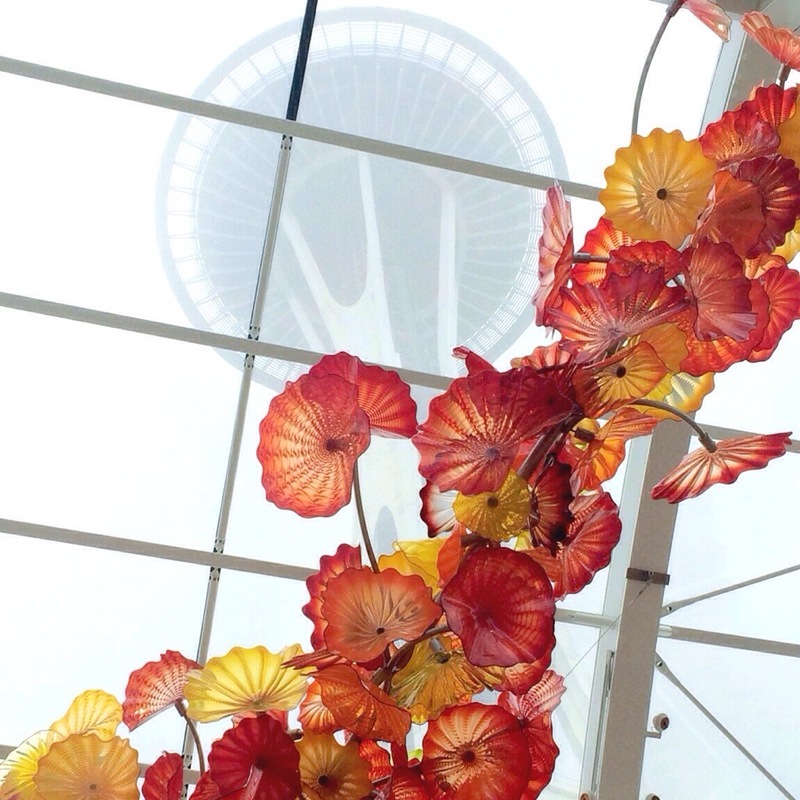 and i didn’t notice the space needle in the photo until i read your piece – glad you reconnected.